It’s time to put up that new calendar and start another year fresh with possibilities! Though we all have those big resolutions we want to achieve, how about a few small ideas? Write an old friend (on paper, with a stamp!) or cook a unique recipe. Or try a wine you’ve never heard of before. Each new year becomes what we make it, and we hope your 2016 is simply fabulous! Inky. Luscious. Jammy. Ripe. Full-bodied. Delicious. These are just a few words that have been used to describe our Petite Sirah wine. Award winning is another, with Wine Enthusiast magazine just rating the wine 91 points and a Best Buy! From its beginnings as the very first grape we planted to today carrying the mantle of Bogle’s “heritage” varietal, our Petite Sirah has defied its name to become a favorite of many. Barbra Calhoun’s story starts like many of us fresh out of college. We search for a job in the hope of finding a place to stay for a bit and gain experience for the next big landing spot. 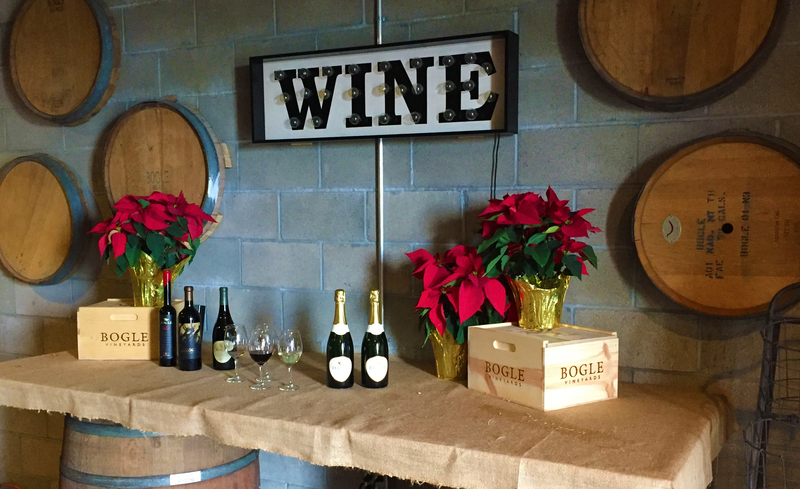 In Barb’s case, she found Bogle Winery…and never really left. While studying for her Master’s in Viticulture from Fresno State, Barb heard about a new winery close to Sacramento, which was in need of someone to run the soon-to-be-opened tasting room. She applied and got the job at Bogle Winery. The only problem was the tasting room wasn’t quite built yet, so she was tasked with a variety of odd jobs as a cellar rat. Barb spent 6 months in the cellar before returning to law school full time. 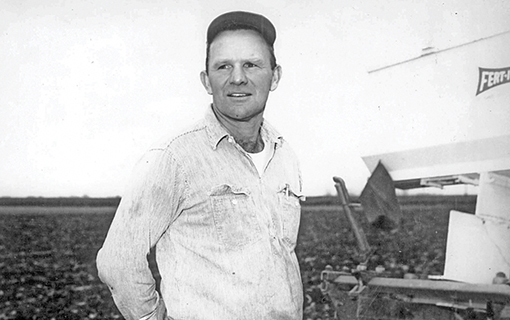 But once she graduated, she found herself drawn to Bogle yet again, where the winemaking lab drew her attention and she managed the day to day testing of wines from harvest to vinification to bottling. In those days, Barb also enjoyed pouring wine at various winery events, including the wildly popular Open House every summer. In 2001, Barb left Bogle to take a full-time position with the Department of Homeland Security. Starting as an Adjudication Officer with Citizenship and Immigration Services, Barb is now District Training Officer where she trains staff on all aspects of Immigration Law. While her position with the Federal Government continually challenges her, Barb has held onto her love of the wine and food lifestyle by working weekends pouring wine for customers in Bogle’s tasting room in Clarksburg. 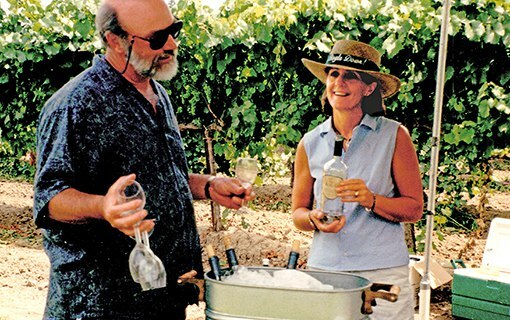 May of 2016 will mark her 20th year with Bogle Vineyards. Barb loves connecting with Bogle customers, and is seen pouring here at our annual Open House in 2002. From January 11th through February 9th, our 19 year old tasting room will be undergoing a face lift! We’ll be open during construction, and pouring our wines downstairs in our barrel room. It can get chilly down there, especially this time of year, so be prepared if you plan to visit the winery in the next few weeks.